Amirtham, Sam and S. Wesley Ariarajah, eds. It is generally accepted that theological education and ministerial formation must both take place "in context". The context, in most parts of the world today, is one of religious pluralism where Christians must live in dialogue and grow in commmunity with neighbours of other faiths. Ministers have a crucial role in shaping the attitudes of church people, especially in the area of interfaith relations. How may they be equipped to play this positive role? 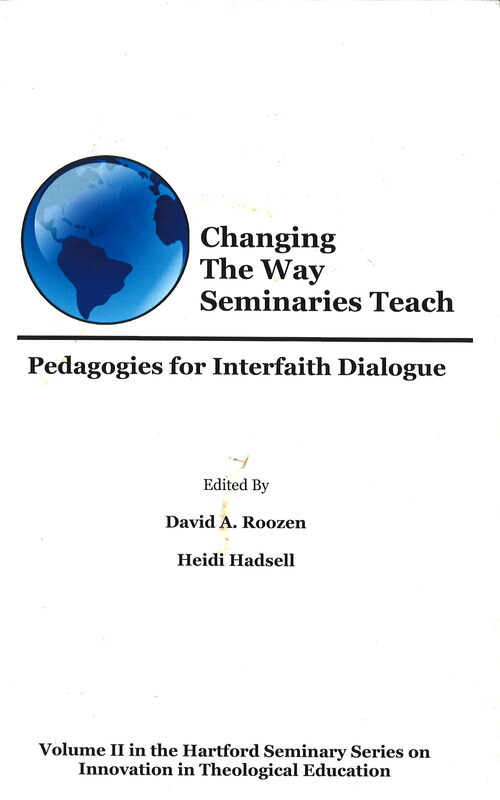 What, in other words, are the implications of interfaith dialogue for theological education? Student Affairs Professionals: The "Hidden Educators"
The Reality of Religious Pluralism on College Campuses: Promise or Peril? Is Conflict Among Religious Groups Inevitable? When Should Intolerance Replace Tolerance? "I Am Comfortable Talking About Values...Not Religion"
Is the American Professoriate Actually Religio-Phobic? "I'm Afraid to Open My Mouth in There for Fear of Getting Killed!" Are College Students Developmentally Ready for Moral Conversation? Currently, the recent history of the field shapes the content of introductions to the philosophy of religion. In order to substantively engage students, whose experiences and destinies are already shaped by global realities, such teaching must undergo revision. A shift from introducing philosophical theology towards active learning analyses of ostensibly religious phenomena is the means by which the field can regain its relevance for students. This article first explores the rationale for teaching differently, and then works out a pedagogy that has students themselves practicing a global philosophy of religion. "Teaching Difficult Texts." 1000 word essay scaffolding student engagement with difficult texts from non-Western Christian contexts. "Teaching Difficult Texts." 1000 word essay describing a student-interactive, small -group discussion of challenging texts. "Educating American Muslim Leadership (Men and Women) for the Twenty-First Century"
Educating and training Muslim men and women leaders who are capable of effectively navigating the multi-ethnic and multi-religious terrain in America – particularly in the post 9–11 milieu – requires the development of a new critical American Muslim pedagogy. This new pedagogy, centered in Islamic epistemology and ontology, should selectively appropriate the best of traditional Muslim educational paradigms and modalities used over time. However, the traditional Muslim model must not be reified, but rather be subjected to a sharp critique which maintains the richness of its spiritual and intellectual legacy but rejects teachings and interpretations used to create false dichotomies resulting in binary constructs, particularly those which pit Muslims against the west. 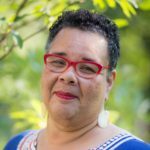 Finally, the new critical American Muslim pedagogy must embrace all of the best discursive practices (e.g., pedagogies of Freire and others) that engage us in a critical analysis of the way in which power and privilege, even in religious communities, operate to marginalize and suppress women, minorities, and people of color. "Training for Priesthood in the Modern World: A Zarathushtrian Perspective"
This essay traces the development of the Zarathushtrian (Zoroastrian) priesthood from the time of the prophet Zarathushtra, through the Median priestly tribe as Magi, and the Macedonian and Arab invasions. This sets the stage for the separation of the Zarathushti priesthood between Iran and India and the generation of independent training methods. Centuries later dialogue between the two groups revealed some remarkable differences due to diverse cultural influences. From the eighteenth to the twentieth century there is a loss of respect for the priestly class and organization by the community of learning institutions to revamp the priestly training. The last portion of the paper discusses factors that affect the training of priests in North America. Some recommendations are put forward to adapt the training of the priesthood in the changing world society, and how these ideas can be brought to reality. "Catholic Theological Education in a Religiously Pluralistic Age"
This article describes the transformation of Catholic theological education over the last fifty years from a highly defensive posture vis-à-vis other religions toward dialogical engagement with members of other religions and all persons of good will. Until Vatican II, most Catholic theologians and officials distrusted exploration of other religions as leading to a dilution of Catholic identity. Vatican II condemned anti-Semitism and called for dialogue among religions in pursuit of common values. Since the Council, there have been developments in interfaith education on three levels: religious studies, comparative theology, and inter-religious practice. Roozen, David and Heidi Hadsell, eds. "Vodou: A Sacred Multidimensional, Pluralistic Space"
This paper uses the language of Vodou doctrine to articulate its key tenets and speak to how the challenge of plurality or diversity in the twenty-first century has been and continues to be addressed among African and Afro Atlantic spiritual leadership. Following the slave trade and colonialism's aftermath, a pluralistic vision, reflecting the harsh new global order, permitted spiritual sustainability by reconfiguring African ontologisms. Embracing pluralism through annexation of non-native spiritual practices augmented the power of African rulers, providing them with other epistemes and access to spiritual forces they believed enhanced their position. The issue of preparing for the priesthood in a global or pluralistic society is examined in this essay through the historical and metaphysical framework that shaped the making of our societies. "'To a Land that I Will Show You': Training Rabbis for the Future"
Rabbis are commonly perceived as bearers of Torah – the sacred traditions and ways of life of Judaism. As such, rabbis certainly have an important role to play in a community seeking guidance and inspiration from and a renewed connection to those traditions. Yet, historically, rabbis arose as a class in a period of crisis and were not merely conservative figures, but were also radical agents for change. The training of rabbis in the contemporary world calls for an assessment of our situation. Is our time a time of crisis? If it is, how should we prepare to meet that crisis? Do rabbis have a role to play in the future? While the texts and traditions of the past are available for study, interpretation, and application, is there a need to prepare rabbis to become effective agents for change? How can we embark upon such an uncharted path? "Catholicity and Context: The Cenotaphs of Orthodox Theological Education"
For more than twenty-five years, field education programs have been the primary pedagogical strategy by which contextual (practical) theological training has occurred at most Orthodox theological schools in America. These programs are based on a developmental approach, with students progressing from observation to participation to actual leadership. A synthetic model of contextualism will prepare students more effectively for ministry in the third millennium by providing attention to the contemporary context throughout the entire curriculum. 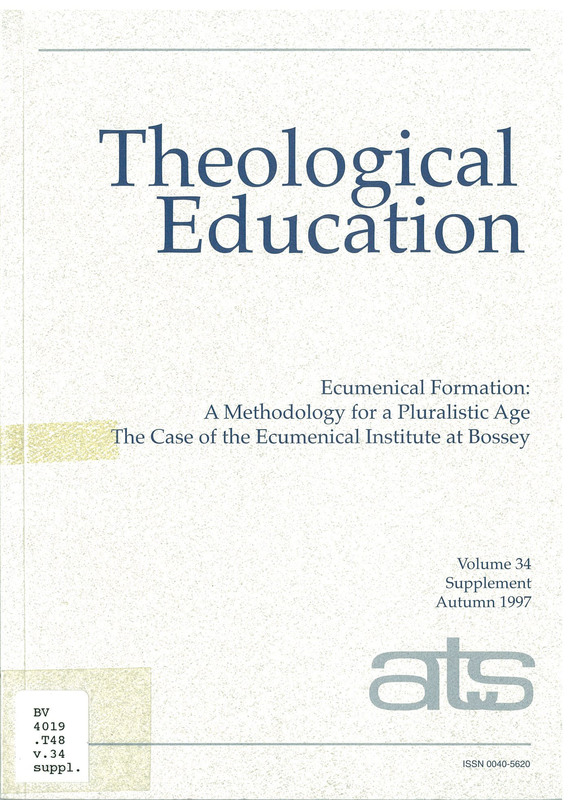 This article will: (a) discuss the current practice of Orthodox theological education in America, (b) examine six classifications of contextual theology, and (c) suggest nine core values and goals that support a synthetic model for the contextualization of Orthodox theological education in America. "Training vs. Education in Forming Won Buddhist Kyomus in the USA"
An historically familiar tension in East Asian Buddhism between meditation and cultivation in broad learning has appeared in discussions and planning for preparing ministerial students in Won Buddhism. This paper reviews the history of preparation in this order, which was founded in 1916. While the alternatives of training based on practice and education based on classroom intellectual experience have occurred in Won Buddhism, the tension has appeared within the recently founded Won Institute of Graduate Studies in the USA in a clear manner. While the pre-ministerial students coming from Korea have preferred the experiential/practical emphasis, it is recognized that graduate education in the USA normally requires broader learning and critical thinking. 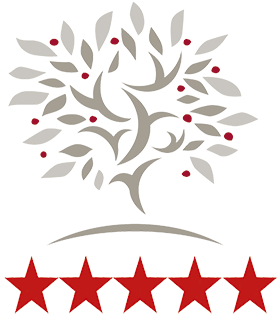 The faculty of Won Institute respects both strategies and their respective, almost incompatible, goals, and has tried to create a curriculum embracing both. This effort is described and viewed in the context of Won participation in a culture of pluralism and interreligious relations. "Hindu Leaders in North America?" "Are there Hindu leaders in North America"? Can there be leaders of a purportedly invented or imaginary religion that has no shared doctrines or beliefs? This provocative essay offers answers to these and related questions about the nature of Hindu leadership in North America. Three ideal types are examined: Ritualists, Guides, and Administrators. Their roles and responsibilities, though relatively clear in India, have become complicated in their current incarnations in North America. The difficulties are further enhanced when combined with a drive to derive a syncretic form of Hinduism, a pan-Hinduism that never existed before. This article challenges the leaders of Hinduism in North America to confront and perhaps even jettison their invented identity as a way of becoming better leaders. "A Long and Winding Road: Soto Zen Training in America"
This paper seeks to outline the broad parameters of Soto Zen Buddhist training in the North American context. Using his personal experience of training as a case study, the author argues that Zen in America is strongly oriented towards meditation and everyday practice in the world by dedicated lay people, a situation relatively rare in the history of Buddhism. The training of today's Zen teachers calls for unique skills conditioned by modern life in the developed world: pastoral counseling, psychological acuity, communication training, political awareness, and an ability to translate traditional teachings into terms that are relevant. Teacher training still observes traditional Soto Zen ordinations and pathways. But though the ritual forms endure, their meaning continues to evolve and shift according to the different needs and expressions of American Zen. "Sikh Leadership: Established Ideals and Diasporic Reality"
As established in the Sikh scriptural canon, ideal leaders internalize qualities of self-sovereignty, intentional servitude, integrative creativity, authentic compassion, and perhaps most significant of all, Divine inspiration. Models of communal decision-making can also be derived from the lives of the Gur -Prophets (1469–1708 C.E.) and the institutions they established. Though the faith recognizes no clergy class, graduates of historical seminaries often emerge as significant leaders for the Sikh nation. The community outside of the homeland, however, has experienced a lesser effort in the cultivation of leadership. With a primary focus on education, religious centers, youth camps, and retreats have played a critical role in imparting Sikh culture to the masses. While ideals are clearly articulated within the Sikh tradition, it is the application of the ideals that is necessary – Sikh leadership continually works towards these ends, and will ever seek to progress as individuals as well as a community. 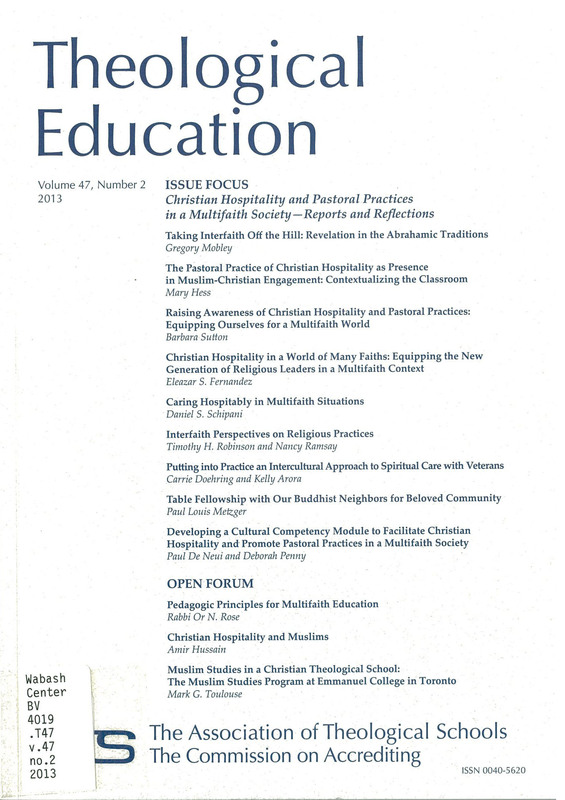 "An Integrative Educational Strategy for Christian Leaders in a Multifaith World"
This paper asserts that training Christian leaders for faithful and effective leadership in religious communities, which is responsive to the reality of the diverse religious experiences of this country, requires that they learn the skills of integration, specifically the ability to integrate formation into a community within the context of a multicultural, multifaith world. The process of pastoral theological reflection, a process that seeks to methodically put into conversation the student's experience, social context, and religious tradition, holds promise in a Christian context as a way to accomplish such integration. After discussing the process of pastoral theological reflection, the paper examines a seminary ministerial formation curriculum, based on this integrative process, to discern how it might better engage multifaith realities in its formation of leaders for Christian communities. "Divine Therapy: Teaching Reflective and Meditative Practices"
Reflective and meditative practices, whether Eastern or Western, are being taught in multiple places – retreat houses, hospitals, Zen centers – but are rarely included in the theology classroom. What would be the rationale for inclusion of reflective/meditative practices in a theology curriculum that does not include such a theory/praxis course? What might a mystical tradition/reflective practice course look like? The author first explores the implications of a three-semester pilot program – using guided imagery, spiritual journaling, iconography, and centering prayer – that was conducted with volunteers outside the classroom. Then, based on the experimental project, the author describes a course that blends global traditions with the best of the practices. 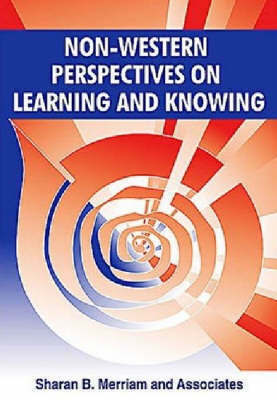 The author concludes with an evaluation of the reflective/meditative practices and the praxis-inclusive course in terms of possible long-term effects on the personal development of the participants and the ministry of teaching and learning itself. "Learning to Teach Islam as a Non-Muslim in the Twin Cities"
In this essay I reflect on my experience thus far of teaching Islam as a non-Muslim at Metropolitan State University and at the University of St. Thomas in Minneapolis and St. Paul, Minnesota. I begin by narrating a conversation about conversion that I had with one of my Muslim students. Then I introduce the theme of multiplicity as a way of being, teaching, and learning. The third section illustrates the theme of multiplicity pedagogically with reference to institutional identity, choice of textbooks, topical organization of the course, the "mosque visit" assignment, and class composition and student roles in the classroom. I conclude in the fourth section with personal reflections on multiplicity in relation to credibility and identity, politics and transformation. The essay was inspired by my realization that I embody multiple religious identities, and that one of my purposes is to build community inside and outside the classroom in an effort not only to transcend the tendency of our culture to adopt an essentialist view of Islam as suspect and alien, but also to recover Islam as a universal religion and to consider its agenda for world transformation alongside those of other religions. "A Non-Muslim Teaching Islam: Pedagogical and Ethical Challenges"
This paper is a reflection on the two most significant challenges that I have faced teaching the introductory course in Islam. The first is the challenge of teaching Islam after September 11, 2001, the events of which gave rise to such pedagogical questions as how much and in what ways the course syllabus should change, and in particular how we should address issues such as extremism and terrorism. The second is the challenge of being a non-Muslim teaching Islam, which raises issues of authority (particularly when there are Muslim students in the classroom). The limitations and advantages of teaching a tradition as an outsider are explored, and strategies for compensating for the limitations are suggested. The final section of the essay explores the following question: When, if ever, can (or should) we as teachers move from explaining and analyzing the positions taken by members of a tradition to criticizing them? This article builds upon the theological insights of feminist and womanist theologians with respect to the sin of self-hate, and explores the ways in which gay male cyberculture inhibits the spiritual development of gay Asian men. "Conceptions and Misconceptions about "Western Buddhism": Issues and Approaches for the Classroom"
This article responds to the exponential growth in academic textbooks on Western or American Buddhism by arguing that popular trade books written by Buddhist teachers in the West make more effective tools for teaching and learning about the growth of Buddhism in western societies. The use of such texts in the classroom provides students with opportunities to exercise critical thinking and permits instructors to avoid conveying misleading interpretations about the practice, thought, and identities of Buddhists in North America and Europe. The pedagogical advantages of using what could be described as primary sources on Western Buddhism include promoting active learning techniques, muting the differences drawn between convert and ethnic Buddhist communities, and encouraging students to become aware of and refrain from Orientalist approaches towards describing and knowing the religious and/or cultural Other. A list of practical suggestions for classroom exercises using trade books written by Buddhist teachers is provided at the end. Abstract: There is still resistance in Christian institutions to interreligious dialogue. Many feel that such a practice weakens Christian faith, and promotes the idea that Christianity is merely one among many different religious options. When it comes to higher education, there is the fear that both college and seminary students will “lose their faith” if they are invited to study other religious traditions from a positive perspective. Unfortunately, this attitude belies the current culture in which we live, which constantly exposes us to the beliefs and practices of others. 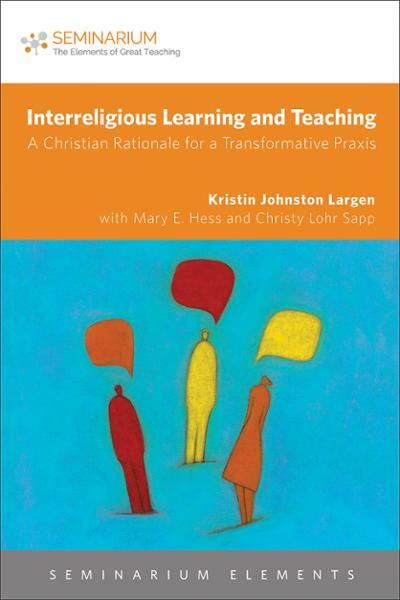 Kristin Johnston Largen sees this setting as an opportunity and seeks to provide not only the theological grounding for such a position but also some practical advice on how both to teach and live out this conviction in a way that promotes greater understanding and respect for others and engenders a deeper appreciation of one’s own faith tradition. See the responses by Nancy Fuchs Kreimer, Yael Shy, and Yehuda Sarna directly following in the table of contents linked here. Rabbinical students gain important knowledge and become more reflective teachers by learning about other religions and with people who practice them. They can also learn how to help educate non-Jews about Judaism and serve as representatives of, and advocates for, our community. After illustrating the joys of teaching religious studies abroad with an anecdote from my trip to China, I warn of some of its inherent pedagogical and ethical challenges. I argue that teaching some of the “new directions” in religious studies scholarship might address these challenges. These include a turning away from the abstract (texts, beliefs, theologies) and towards the concrete (bodies, places, rituals); moving away from teaching religions as unchanging, ancient verities and instead emphasizing the impact that colonialism, modernization, and secularism have had; moving from searching for authenticity to questioning it; and emphasizing methodological self-consciousness. Keeping these new directions in mind will help ensure the study abroad experience is educationally successful. 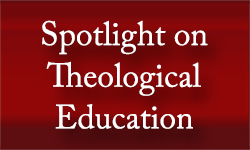 This essay serves as an introduction to a series of six additional essays comprising a special section of the journal (see Teaching Theology and Religion 18:1, January 2015). "Spiritual Formation for Ordained Ministry: An Ecumenical Approach"
Seminaries have a responsibility to engage students in reflecting upon the spiritual life, as well as providing opportunities to deepen their own spiritual journeys. It also is important that they consider the intentional ways that their understandings and experiences of the spiritual life influence their leadership in the Church. Spiritual formation of seminarians provides particular challenges to faculty of liberal, ecumenical seminaries. This article describes a course designed to address these issues and argues that spiritual formation can be effectively integrated into the curricula of liberal, ecumenical seminaries. The issue of comparison is a vexing one in religious and theological studies, not least for teachers of comparative religion in study abroad settings. We try to make familiar ideas fresh and strange, in settings where students may find it hard not to take “fresh” and “strange” as signs of existential threat. The author explores this delicate pedagogical situation, drawing on several years' experience directing a study abroad program and on the thought of figures from the Western existentialist tradition and Chinese Confucian philosophy. The article focuses particularly on “oh events” – defined as moments when one learns one has something to learn and something to unlearn. The author argues that the experience of shame that is typical of oh events can become a valuable resource for cross-cultural learning and personal transformation, if teachers assist students to reflect on the experience as a sign of differing, but potentially harmonizable, cultural expectations. This essay is published alongside of six other essays, including a response from John Barbour, comprising a special section of the journal (see Teaching Theology and Religion 18:1, January 2015). This paper discusses strategies I employed during seven years of teaching within a study abroad program focusing on religion. This year-long program traveled to four Asian countries and included immersion experiences in monasteries, ashrams, and other religious institutions. I identify four principles and discuss accompanying exercises that guided my teaching: (1) Accept and observe anxiety. Inability to understand is a sign that direct and deep contact is taking place. (2) Educate about education. Help students to see the aims, assumptions, and context of the teaching strategies religious practitioners employ. (3) Make it practical. Devise exercises that students can do and do well and that do not demand synthetic, systematic comprehension even as a goal. (4) Stop making sense. Build pauses and breaks into the train of reflection on the meaning of experience. These spaces give room for the shifts in the ways of learning that study abroad demands. This essay is published alongside of six other essays, including a response from John Barbour, comprising a special section of the journal (see Teaching Theology and Religion 18:1, January 2015). Reflecting on two study abroad trips to New Zealand in 2005 and 2007, I suggest in this essay that it is possible to mitigate the risk of (American or European) students recapitulating imperial attitudes through development of a rigorous curriculum focusing on the legacies of colonialism, institutional racism, and the somewhat dubious phenomenon of “post-colonialism.” Readings, I argue, should be in continual play during cultural and social activities, operating in a dialectal move toward an “ethics of respect.” Such an ethics remains aporetic, or uncertain, insofar as no code of behavior can render us immune to the political and polemical effects of past and present forms of imperialism. However, a cultivated respect for distance and difference, including regarding questions of “authenticity,” can help to actualize the transformative promise of studying (indigenous) religion abroad. This essay is published alongside of six other essays, including a response from John Barbour, comprising a special section of the journal (see Teaching Theology and Religion 18:1, January 2015). Conservative (fundamentalist, evangelical) Christian students present a general theological worldview that often correlates with significant anxiety. In a foreign setting, the anxiety of conservative students, removed from their supportive infrastructure, can be considerably heightened. This structure of thinking and emotion presents distinctive challenges and opportunities. Drawing upon my work as a clinician and as a religion professor who conducted study abroad programs, I make suggestions for working effectively with conservative Christian students in study abroad contexts. Suggestions include predeparture, in-country, and post-trip strategies. Specific examples of conversations with students are provided to illustrate the challenges and strategies. This essay is published alongside of seven other essays, including a response from John Barbour, comprising a special section of the journal (see Teaching Theology and Religion 18:1, January 2015). "Teaching Music in the Seminary"
Teaching music in certain seminary contexts poses particular challenges for teaching and learning. The theme of disjuncture between teacher and student in courses that aim to incorporate music in the seminary curriculum are more vital than ever before because of the extreme cultural diversity of our population and integral nature of music in the worship life of religious communities. This essay tackles the difficulties associated with teaching worship music in seminaries where there are a plurality of religious traditions represented and a host of expectations held by diverse student bodies about what connotes worship music. Topics addressed include issues concerning terminology, repertoire, pedagogical methods for teaching worship music, and current issues in church music. 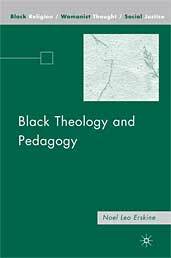 "Teaching for Belief: Power and Pedagogical Practice"
The politics of pedagogy when teaching for belief in culturally diverse settings inevitably draws attention to the power dynamics in the encounters of teachers and students. The quest for a pedagogy that is not oppressive or coercive provides the impetus to liberative proposal for teaching practice. What Has Jerusalem to Do with Hollywood? ch. 2 What Can a Black Woman Teach Me? "Globalization and the Task of Theological Education in North America"
"Engaging Diversity in Teaching Religion and Theology: An Intercultural, De-colonial Epistemic Perspective"
This essay explores new ways of engaging diversity in the production of knowledge in the classroom using coloniality as an analytical lens. 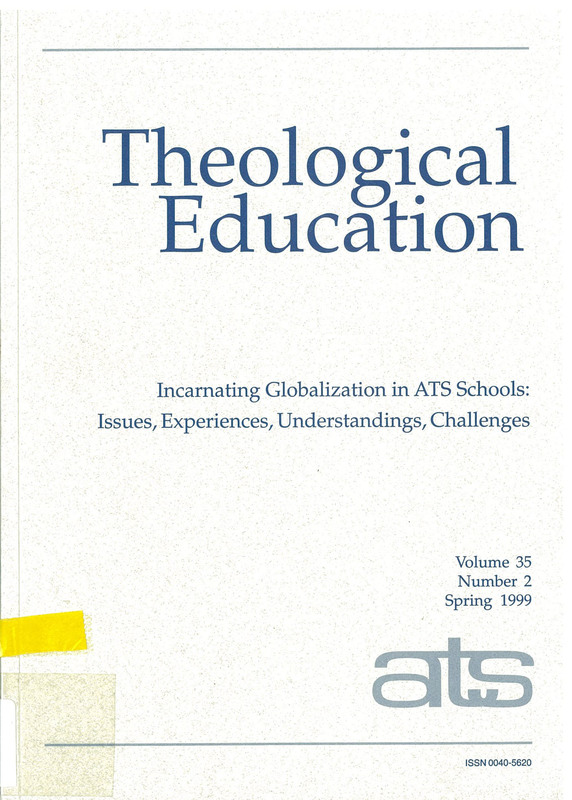 After briefly engaging some of the recent literature on coloniality, focusing on the epistemic dimension, the author uses the example of teaching a course on religion, culture, and theology, where he employs this analysis, to develop a new pedagogical approach as a step towards an intercultural, de-colonial theological education. Explores the field of pastoral theology and multiculturalism in New Zealand. Restructuring of the Anglican Church in Aotearoa, New Zealand; Structure of theological education; Identification of the future needs and character of the Anglican Church. "Multicultural Reality: Challenge To Theological Education"
"Ministerial Formation For Mission: Implications For Theological Education"
Brecht, Mara; and Locklink Reid B. "Reshaping of Conscience: Religion, Education and Multiculturalism"
Opinion. Discusses the interplay among religion, education and multiculturalism in reshaping conscience. Persistent premise that not only salvation but also civilization was not possible without Christianity; Relaxing of exclusivism by the Vatican Council II to reach out to other faiths. "Pluralism At Home: Globalization Within North America"
Inspired by the #FergusonSyllabus, the #StandingRockSyllabus, the #BlackIslamSyllabus and others, this reading list provides resources for teaching and learning about anti-Muslim racism in the United States. Working with undergraduate students invites teachers into relationship and conversation with young people at a time when they are emerging as adults and forming their identities. 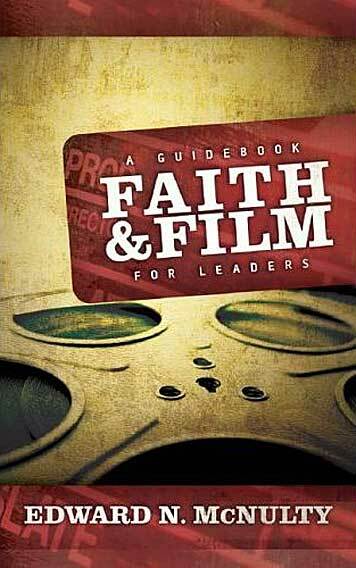 Faith is one area of identity formation often attended to by scholars, college professors, and their institutions. But within that, little attention has been paid to those who do not identify as religious. Additionally, “the overwhelming presence of Christianity at American institutions maintains it as the spiritual norm on campus. … Those within the spiritual norm gain a level of privilege that is often unconscious” (Seifert 2007, 11). This has an effect not only on nonreligious students but on any student who identifies as anything other than Christian; and it has a unique effect on teaching and learning in the religion classroom. In this article, I will explain what Christian privilege is, why it is a unique problem in the undergraduate religion classroom, and what teachers of religion might do in response to it. In the end, I argue that educators need to better understand the effects of Christian privilege in our classrooms and become allies to the nonreligious in particular by using pedagogies that include and support all students, in their many religious affiliations and unaffiliations. Site visits provide an irreplaceable learning experience to students in both religious studies and the emerging field of interfaith studies. The conceptual core of this thesis is the claim, drawn from feminist epistemology, that an embodied pedagogy – a pedagogy which engages students not only intellectually, but as embodied beings who inhabit a space, engage in physical activities, and undergo various sensory experiences – is ultimately more enriching than a pedagogy centered exclusively in the classroom. Factors that make a site visit a successful instance of embodied pedagogy include the provision of sufficient context to students in advance for them to understand and appreciate the experience, an opportunity afterward to reflect on this experience in an intentional way, ensuring the site and the community whose space it is are treated with proper respect, and ensuring that the religious sensibilities of one's students are also similarly respected. "Rethinking Classroom Diversity: Three Student Cultures in a Mainline Seminary"
Discussions on teaching and learning within theological seminaries often center on the question of student diversity, focused primarily upon issues of race, gender, and ethnicity. At the same time that seminaries are challenged to deal with a multitude of pedagogical suppositions emerging from increasingly diverse learning goals, seminaries must also pay attention to the ways their students challenge an institution's core mission to train ministers for service in churches and denominations. Based upon the author's experience teaching in a mainline Protestant seminary, the essay discusses three student cultures that often overlap among today's seminarians. These three student cultures, referred to here as "church seminarian," "new paradigm seminarian," and "vocational seminarian," carry very different understandings of the seminary's role to prepare students for ministry. A critical discernment of these cultures might challenge seminary faculty to reevaluate their educational and missional suppositions amidst divergent student career objectives. In the fall of 2010, anti-Muslim furor in the United States reached a breaking point, capping a decade in which such sentiment had surged. Loud, angry crowds gathered near New York's Ground Zero to protest plans to build an Islamic cultural center, while a small-time Florida minister appeared on national television almost nightly promising to celebrate the anniversary of 9/11 with the burning of Korans. At the same time, fifteen devout Muslims quietly gathered in a basement in Berkeley, California, to execute a plan that had been coming together for over a decade: to found Zaytuna College, "Where Islam Meets America." It would be the nation's first four-year Muslim liberal arts college, its mission to establish a thoroughly American, academically rigorous, and traditional indigenous Islam. 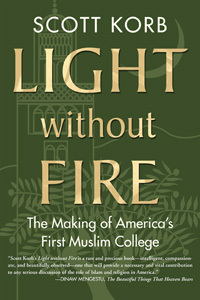 In Light without Fire, Scott Korb tells the story of the school's founders, Sheikh Hamza Yusuf and Imam Zaid Shakir, arguably the two most influential leaders in American Islam, "rock stars" who, tellingly, are little known outside their community. Korb also introduces us to Zaytuna's students, young American Muslims of all stripes who admire—indeed, love—their teachers in ways college students typically don't and whose stories, told for the first time, signal the future of Islam in this country. Syllabi of five courses taught within new interfaith and interreligious studies programs. Also model student learning outcomes and curricular programs. This reflection offers a glimpse into a Masters' level practical theology course in “wisdom formation” for its potential implications and contributions in multifaith education. Instigated by an unexpected companionship between the two instructors – an eighth-generation rabbi, leader of CLAL (the Center for Learning and Leadership) and a Presbyterian practical theologian in a free-standing United Methodist seminary – this elective course was developed for Christian and Jewish ministry students, though it eventually evolved into a required Masters of Divinity course in theologies of religious pluralism and interreligious/intercultural encounter. The course's structure and implementation are described, followed by difficulties faced and potential implications for multifaith education, specifically those in disciplinary formation, institutional stewardship, and the diverse contexts and questions for teaching and learning. 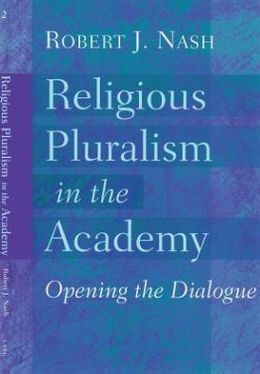 "Theological Education by Conversation: Particularity and Pluralism"
Seminary education is adjusting to the global realities of inter-religious encounter. An increasingly important element of equipping seminarians must be the ability to embrace two dimensions of mature faith; (1) deep convictions related to their own faith, and (2) genuine civility in their engagement with others. The practice of convicted civility is best learned experientially through participative assignments and close contact with people of other faiths. The article explores an approach by which students are encouraged to develop the capacity and skills to both address the faith issues that divide us and to respond to social issues that require the exercise of civility to live together peacefully. The experience of Fuller Seminary, an evangelical, multidenominational, and multiethnic institution provides a context for educating seminarians for convicted civility in a multifaith world. "Centered Diversity in Systematic Theology"
One page TTR Teaching Tactic: students compare two theology textbooks to gain a new understanding of diversity. Many theological schools use short term travel as a way to foster interfaith education. Due to their experiential, holistic, and intense nature, travel seminars focused on the promotion of interfaith learning can shape a future religious leader's outlook on religious communities across the course of her entire career. In this article I explore the pedagogical dimensions of travel seminars as a tool for interfaith education through the lens of a travel seminar to Israel and the occupied Palestinian Territories. The authors developed and co-taught a course on Korean indigenous spiritualities designed primarily for Korean Christians to reflect on whether such spiritualities might hold resources for their religious lives. Engaging students directly with the spiritual practices, texts, and representatives of the traditions, the course encouraged students to voice their understandings of these traditions on their own terms, and the extent to which they might hold resources for Korean Christianity. Starting each class session with pair discussions (in Korean, if desired), and then sharing the pair responses with the larger class for fuller discussion gradually developed intracultural interreligious openness to the Korean indigenous heritage. Two non-Korean students brought “outsider” questions and responses to the conversation. Students reported that the learning experience was successful and valuable. Jesus and Mary have been called simultaneously a bridge and a gulf between two massive, complex religion-communities. 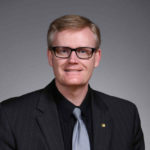 In spite of this – and in spite of obvious distinctions between instructional venues such as a church's adult education program, a seminary classroom, or a required university theology course – a fairly consistent set of strategies work well when helping Christians understand Jesus and Mary as Muslims known them. Gaining such familiarity is useful preparation for Christians' eventual appreciative conversation with Muslims. 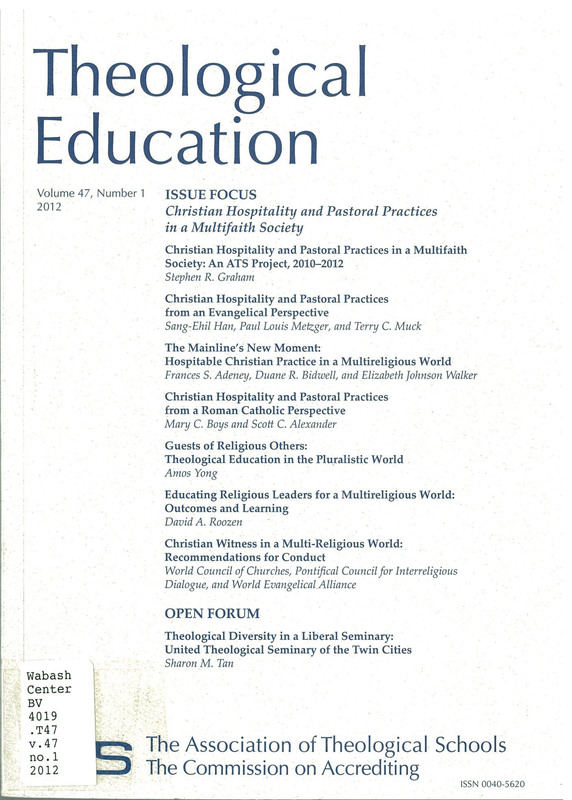 The period 2002–2012 saw remarkable developments in multifaith education at American theological schools. Looking ahead, multifaith education in theological schools is poised to enter a new phase of broad engagement and development. 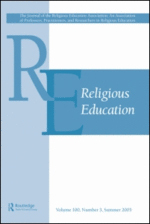 This essay focuses on three aspects of the practice of multifaith education in seminaries. It first presents a brief historical overview of the initiatives and institutions that pioneered multifaith education in theological schools. It then summarizes findings from surveys, reports, and collegial gatherings about the pedagogy of multifaith education. Finally, eight questions for practitioners of multifaith education seminaries to explore in the future are offered. The author and her colleagues planned and led three retreats to build relationships between rabbinical students and Muslim leaders of tomorrow. Narrative Pedagogy served to inform the creation of these immersive experiences. The retreats made use of the shared scriptural traditions around Joseph (Torah) and Yusuf (Qur'an) to build connections based on a common passion for text study. Parallel to the academic exploration of religious and cultural narratives, participants wove connections based on an ethos of appreciative inquiry and the guided sharing of personal stories. Carefully structured exercises provided a container for the growth of understanding and connection. "A Teaching Tactic for Interfaith Engagement"
One page TTR Teaching Tactic: students experience the transformative power of telling your story through well designed prompts for pairs. Merriam, Sharan B., author, ed. "Teaching Inside-Out: On Teaching Islam"
Offers a view on teaching Islam. Reason instructors do not look to Muslim scholarship; Role of the instructor in the modern university; Impact of the September 11, 2001 terrorist attack on teaching the religion. "Testing the Limits of Tolerance in a Course on Religion and Sexual Diversity"
"Pluralisms in the United States and in the American Empire"
Online companion to the PBS weekly news show, with lots of resources for teachers (lesson plans, tips, additional links). Explicitly aimed at K-12, but helpful for college age students as well. Lesson plans, classroom tips, and teaching resources, on the website of the popular PBS news show. A browsable online library of resources for interfaith work on campus and in the classroom - including downloadable PDFs, videos, webinars, and podcasts, teaching modules, case studies, reading lists, and “best practices” and topics such as assessment, leadership, impact, and guidelines for site visits. "Models and Methods of Continuing Education for Christian Ministry in the Religiously Plural Context"
This paper asserts that Continuing Education aimed at equipping Christian leaders (lay and ordained) to carry out their ministries in the midst of America's increasing religious diversity in a way that views this diversity positively must be two-pronged: (1) it must provide accurate information about the beliefs and practices of the neighbors, and (2) it must provide theological resources rooted in Christian scripture and tradition. As this paper explores a variety of models, it reflects on the difficulty of holding these two goals together and the problems inherent in attempting to measure what such Continuing Education programs and events accomplish. In considering ways forward, it offers a Christian theology of religious difference informed by notions of neighbor-love. ch. 6	Religion and the Corporate Life of Universities: Equal Opportunities? "Ministerial Formation in a Multi–Faith Society"
This article reports on the findings of a study carried out with ordinands and faculty in English theological Colleges and Courses (programs). The project aimed to discover (a) how and to what extent students are trained to work in Britain's multi–faith society, and (b) how are ordinands thinking theologically about issues of religious diversity. This article highlights the examples of good practice that emerged from the study and considers what makes for good learning about multi–faith issues for ordinands training for the ministry. "How Clearly Must I See? Art and Ethics in Pedagogical Practice"
This essay explores pedagogical practices and ethical obligations in the embrace of cultural and religious diversity by a faculty team in a theological school course. Attention is given to the interplay of art and ethical dilemmas in an educational praxis that calls into question students' taken-for-granted worldviews and theologies. In the first of three sections the writers identify several assumptions they brought to the conduct of the course regarding diversity, art, and pedagogy. The second section describes student encounters with and responses to art from a variety of cultural contexts. 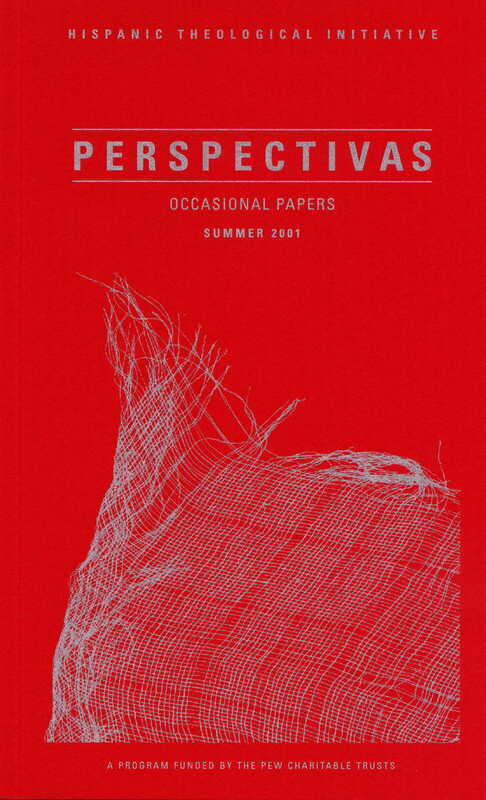 The paper concludes with a critical reflection on ethical and political issues arising from pedagogical practices that engage students with art. This essay argues, as its title suggests, that learning that is both comparative and theological can be an ordinary – possible, beneficial, even necessary – part of theological education and, like other fields of study, may be incorporated in the curriculum in ways that meet practical curricular needs. Once the professor has undertaken the initial, minimal learning, teaching comparatively can become a natural and integral part of any seminary course. The study of the other is not exotic or in a class by itself; if we can study our own religious tradition today, we can study others as well. 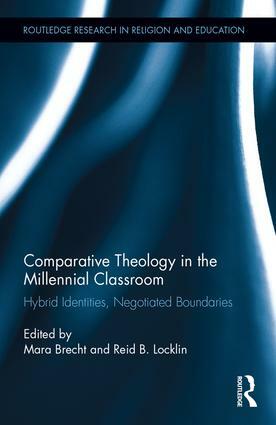 The thesis is argued in several parts: (1) interreligious diversity is integral to the context of contemporary faith; (2) comparative theology engages diversity in an intentionally theological way and needs to be distinguished from other disciplines; (3) a comparative theological approach aids in the process of ensuring that attention to diversity is integral to theological education; (4) teaching comparative theology is not different from teaching other forms of theology. None of this, I suggest, requires a liberal or pluralist theological starting point. This essay argues that multifaith concerns must become central components of curricula across theological education. It outlines a methodology for such incorporation in a course and for an audience that, at first glance, appears not to lend itself to such an approach, a Hartford Seminary course on Muslim public speaking for Islamic Chaplaincy students. 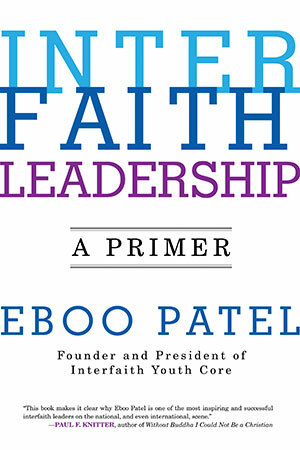 This methodology is based on the model of educational programs developed by the Interfaith Center of New York for local religious leaders and professionals who work with and within religiously diverse settings, such as school teachers, court officials, health care professionals, and social workers. 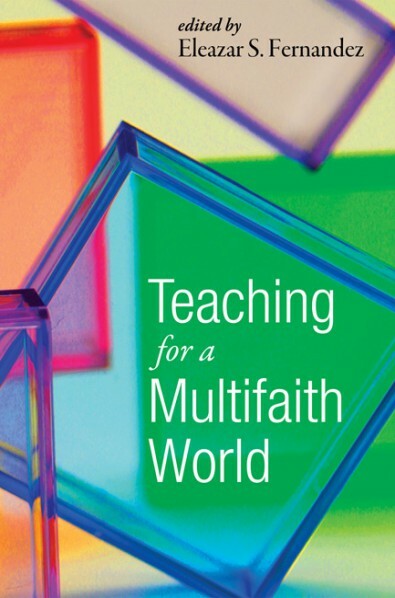 This model of practical multifaith education is based on the local realities of religious diversity that constitutes the context for the work of graduates of theological schools. Discusses issues in coping with religious diversity in the classroom. Suggests confronting students’ assumptions regarding religion; strategies for countering resistance; and finding benefits of diversity.